With the increased use of technology, there’s an increased risk of your data being stolen. 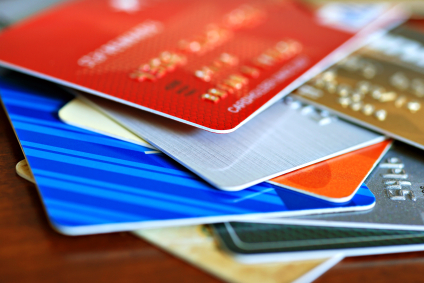 Prepaid cards can be useful in removing this risk, but they normally come with fees. 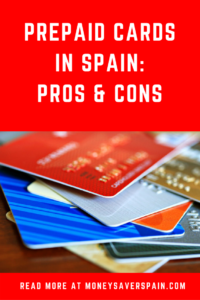 We’ve taken a look at the pros and cons of these cards and where to get them in Spain. Normally prepaid cards are not linked to any bank account but are topped-up (or loaded) as necessary, so you won’t need to open another account just to get a card. This can be useful if you don’t have (or don’t want) a Spanish bank account or if a family member needs to have a card for emergencies. As the cards don’t allow for credit, there’s no need to prove any source of income. Even if your name is on a debtors list or your accounts have been frozen you won’t have any problems getting a card. Cards are issued immediately, after requesting one it will be sent out within 1-2 working days. Prepaid cards can be used to get cash out at ATMs worldwide, however check the commission applicable that varies by company. Additional charges levied by the owner of the ATM will be shown when making a cash withdrawal. If you don’t agree with the cost you can just cancel the operation without withdrawing any money. Undoubtedly prepaid cards are the safest way to buy online. As they aren’t linked to any bank account, even if your details are stolen you would only lose up to the amount that’s currently on your card. For those who find traditional credit cards a temptation to spend and spend, prepaid cards can help control your expenditure. They often also come with free insurance; usually covering travel insurance, theft and fraudulent usage. Some prepaid cards are virtual – in other words you won’t have another piece of plastic in your wallet. You’ll receive by email / post the 16-digit card number, expiry date and CCV (the 3-digit code normally found on the back) along with your online access details. Virtual cards are normally issued immediately. One of the main disadvantages are the fees, which vary depending on the bank or company. If you’ll only be maintaining a low balance on a prepaid card, with regular top-ups, then it would be better to look for one that offers these for free. You have to remember to top-up the card and remember how much you have on it at any time to avoid problems (and embarrassment) if your card is declined due to lack of funds. Some companies impose a top-up limit, check before you request a card as the limit may not be high enough for your needs. Many banks in Spain such as La Caixa or BBVA offer prepaid cards. Check online or ask at your local branch for a “tarjeta prepago”. Correos – A MasterCard with a 6€ initial fee which you can get immediately at any Correos office or online. There’s a 2€ recharge fee online or 1€ at Correos offices. Additionally if you have several cards you can transfer money from one card to another for only 0.10€. Cash withdrawals cost 1€. Spark – Website in English and Spanish; 3 types of MasterCard with limits of 250€, 2500€ or 15000€ (must provide a valid ID by email for the latter). The card has an initial cost of 10€, a monthly 1.20€ maintenance fee (only when money is on the card), ATM cash withdrawals cost 1€, cash loads via bank transfer cost 2% (additional charges can be checked online). MoneyToPay – owned by CaixaBank, website available in English. They have 3 different Visa cards to choose from (depending on intended use): the virtual card is free, the gift card has a 5€ issue cost and the standard prepaid card has an annual fee of 6.95€. The first top-up is free, subsequent top-ups cost 1% with a minimum 1€ charge. ViaBuy – This card comes with a bank account (IBAN) number. The card costs 69.90€ and there’s an additional 19.90€ annual fee. Cash withdrawals are 5€ and top-ups by bank transfer are free. Website available in English.